Are you tired of running out of hot water? Does your furnace run year round to heat your hot water? Are you worried about the expense of replacing your hot water heater? Do you want to save money on your annual energy costs? Would you like to lower your CO2 emissions? Call Waltz and Sons today at 929-8898 to schedule a FREE site survey! *Propane Gas Association Rebate runs from July 1, 2016 to June 30, 2018 or until funds are depleted. 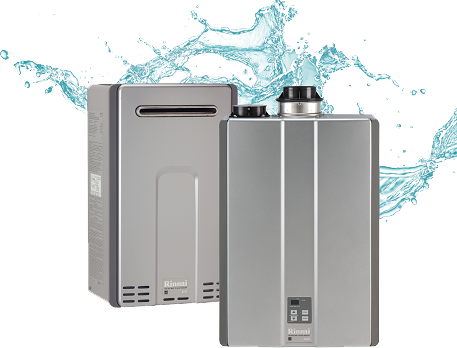 **Rinnai rebates are based on units purchased. 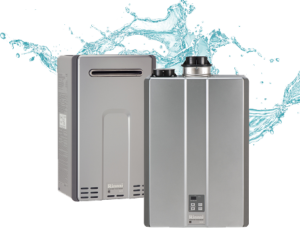 Rinnai Hot Water Heater must be purchased by Dec 31, 2016 and installed no later than Jan 15, 2017. ***Federal Tax Credit applies to hot water heaters purchased in 2016 and claimed by Jan 15, 2017. Get an insider look at a typical day of propane delivery at Waltz & Sons! In our latest video, we take you from the moment we enter the office, through the post propane delivery process. Enjoy! The Propane delivery process doesn’t start when we pull into your driveway. At Waltz & Sons, there’s a process to ensure safety, accuracy, & efficiency with each propane delivery. We began each day checking into the office & picking up delivery tickets. Before we head out to deliver propane, we perform safety checks on our delivery trucks – and then we’re on our way. On any given day, we could have 15 to 50 propane delivery stops per truck! When we arrive at our customer’s location, we back our propane delivery trucks into the driveway to the closest location to the propane tank. It’s important for customers to make sure there’s a clear & safe walking path to their propane tanks. Once we reach the propane tank, we’ll check it for safety and also check to confirm a propane delivery is needed. Once confirmed, we’ll pull the hose out to the propane tank, connect up and start the “delivery”. This part takes anywhere from 5 to 15 minutes. When the delivery is complete, the propane tech/driver will go back to the truck & print out a delivery ticket. After the ticket is filled out, it’s brought back to the office. The propane delivery ticket will be connected to the customer invoice, which is then either mailed or emailed to the customer depending on their preference. At the end of the day, the driver will run a post trip inspection on their propane delivery truck, and bring all delivery tickets into the office, where they’ll process all of the tickets for the day. If you’d like more information about Propane Delivery in Maine, or propane in general, be sure to contact us today & if you enjoyed this video, please subscribe to our channel & stay tuned for more! Propane appliances are a great alternative to electric ones, especially when the power goes out. With propane appliances installed, you’ll still be able to cook your food and stay warm! In our latest video, we go over the top 5 home appliances that use propane. The most popular home appliance to run on propane is your furnace or boiler. Today’s propane furnaces are highly efficient, require very little maintenance and come in a variety of sizes, making them perfect for heating a single room or your entire house. They can be vented horizontally or vertically, eliminating the need for chimneys. Plus they can heat air up to 25 degrees warmer than electricity, ensuring that your home feelings cozy and comfortable all winter long. If you want to save money on your electric bill, a propane dryer is the way to go. Today’s propane dryers are less costly to operate than an electric one, because they deliver heat quickly and efficiently. They also produce a moist heat, which means your clothing comes out softer, with less wrinkles and static free. This also reduces the risk for burning or discoloring your clothes. Another popular home appliance that uses propane is your kitchen stove or range. Unlike conventional ovens, propane offers greater control of your cooking with precise temperatures and even heat distribution. The burners on a propane stove heat up quickly, allowing you to start cooking immediately. And when you’re done, the burners turn off instantly, making them very safe. Who doesn’t love sitting in front of a warm fireplace? 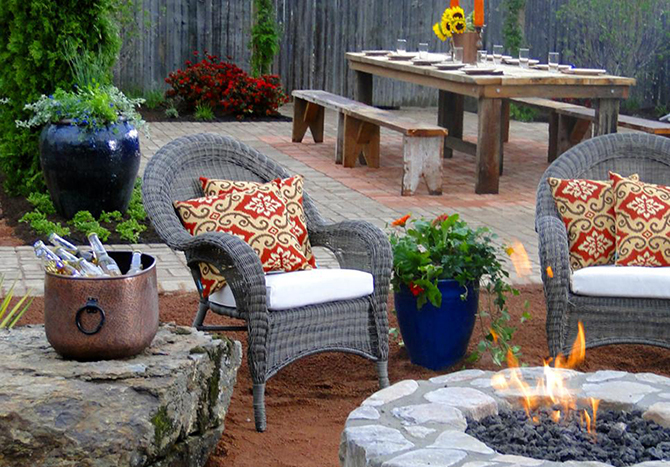 With a propane fireplace, Hearth Stove or Logset you get an authentic fireplace experience without the hassle of lugging wood or cleaning out soot. 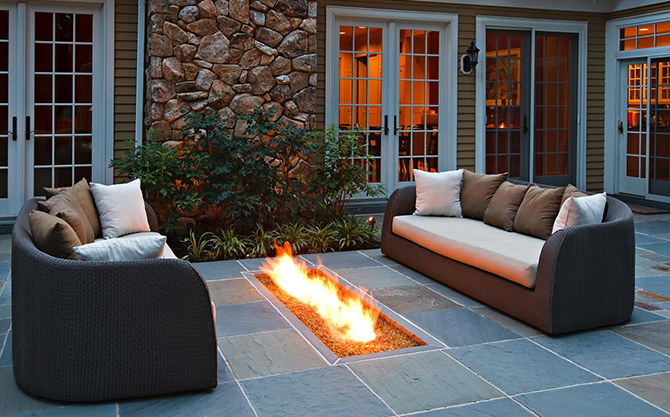 Propane fireplaces are more efficient than wood and they heat a room more evenly. Most require very little maintenance and don’t need electricity to operate. With a high efficiency, direct vent fireplace, you can heat your space faster, safer and for less money! Another great appliance that uses propane is your water heater. With an on demand propane water heater you’ll never run out of hot water because it’s heated only when it’s needed. They are tankless, which means they are smaller and take up less space in your home. And because they don’t store water like standard water heaters they are less expensive and more efficient to operate. Plus most are made with durable, long lasting components that require little maintenance. As you can see, propane appliances are a smart choice for any home. In addition to all of the appliances we talked about today, propane can be used for room/space heaters, refrigerators, lights and garage heaters! It’s safe, clean and cost effective. If you need help buying, installing or maintaining a propane appliance, give us a call or contact us today. If you enjoyed this video be sure to subscribe to our YouTube channel. Do you have home appliances that currently run on natural gas? Did you know that most of your appliances can be easily converted to propane? In our latest video, we take a look at some of those appliances. Let’s start in the kitchen. One of your most important appliances is your refrigerator. It runs 24 hours per day, 7 days a week and must always stay cold. Most electric, and all natural gas, refrigerators can be converted to propane quickly and easily. And if you have a separate freezer, that can also be converted to propane. Next is your kitchen stove or range. These appliances are often relied upon for daily use and are some of the most common propane run appliances in a home. These too can be easily converted to propane. Next we’ll head to the living room. 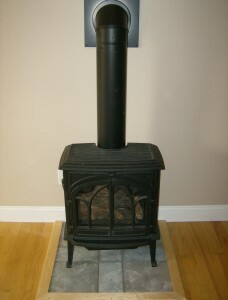 Another home appliance that can be converted to propane is your gas fireplace. 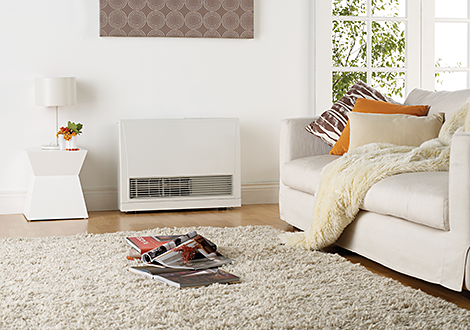 It’s easy to do and will ensure your living space is warm, comfortable and saving you money during those cold winter months. Speaking of cold weather, let’s head to the basement and take a look at the furnace. One of the hardest working, and most costly to operate, appliances in your home is your furnace or boiler. These can easily be converted to propane, making them much more efficient and require less maintenance, which will save you money. Plus they heat the air in your home faster, so it stays warm and cozy all winter long. Another appliance that is perfect for propane is an on demand hot water heater. You’ll never have to worry about running out of hot water if the power goes out when you use propane. Plus they only heat the water that you use, making them more efficient and less expensive to operate. It’s a great choice for any home. Now let’s head back upstairs to look at the clothes dryer. If your clothes dryer currently runs on gas, it can be converted to propane very easily. And because propane is more efficient than gas, your clothes dryer will cost less to operate. Next we’ll head outside. Gas grills are another popular appliance to run on propane. They heat up quickly and provide a consistent and even heat source every time you use them. One thing to keep in mind if you plan to convert an appliance to propane is most will require some kind of a conversion kit. A licensed technician can assist you in finding the right kit and converting your appliances to propane. If you don’t feel comfortable doing the conversion yourself, a licensed technician can help. If you have any questions or need help with your propane appliances, give us a call or contact us today. If you enjoyed this video, please subscribe to our YouTube channel. Did You Know Waltz and Sons Sell Appliances? At Waltz and Sons, not only do we provide installation and service, we also sell appliances! Our licensed propane technicians can help you find exactly what you are looking for to make your buying and installation a smooth and easy experience. If it runs on propane, we can get it for you! There are many propane appliances that you can use at your home: fireplaces, freestanding stoves, on-demand hot water heaters, dryers, ranges, heaters, generators, firepits, pool heaters and more. Our experienced technicians can answer any questions you may have about propane appliances during a free site survey and assist you in selecting the right appliance for your home. Rinnai, Empire, Kingsman, and White Mountain Hearth are a few of the high quality brands we sell our customers. 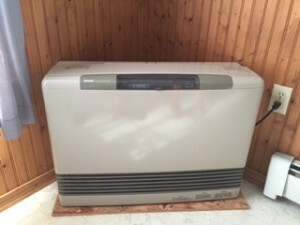 Waltz and Sons also sell, install and service Heat Pumps, an alternate heating and cooling system that is growing in popularity here in Maine. Whether you are replacing an existing appliance, adding an additional appliance or are a new customer looking for an appliance, Waltz and Sons wants to make your shopping experience EASY! Contact us or call us at 207-929-8898 to schedule a free site survey. We want to fuel your life! Do you smell propane inside? Propane leaks can originate from a variety of sources, whether you have propane heat, a gas stove, a propane generator, or more. Here’s a step by step safety guide for what to do if you smell propane. If you already have propane in your home, you already know how safe and convenient propane can be. Most people never have a problem with propane, because leaks are rare – but they do happen from time to time. Hopefully, the above video will point you in the right direction on what to do if you smell propane. If you have any additional questions about smelling propane inside, or propane in general, please contact us today. If you enjoyed this video, please subscribe to our YouTube Channel!